Imagine having your morning coffee while listening to the gentle waves lap against your private dock. Or perhaps you would rather lounge inside and watch the water shimmer outside your wall of windows. Either choice is a definite possibility with this gorgeous waterfront home just 2 blocks from the beach. The wide open kitchen flows through the dining and family area out to the ground level deck and wonderful views. 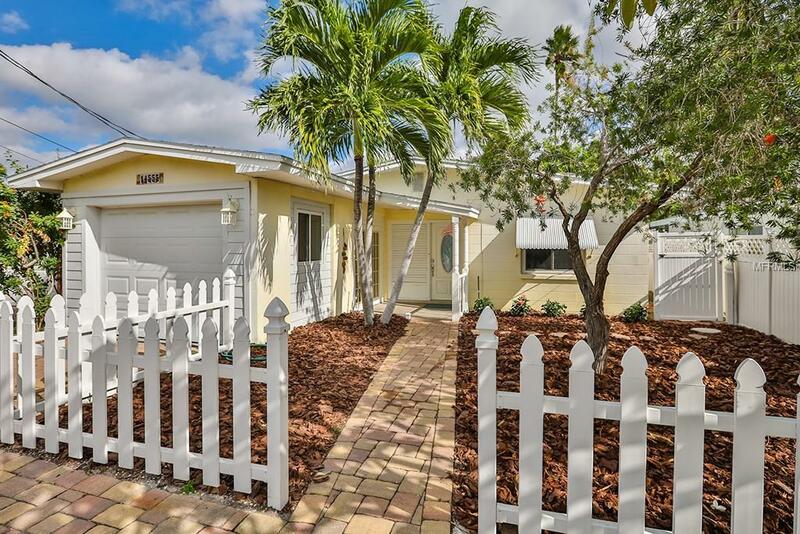 This home is situated close to everything the beach community has to offer but you will feel miles away with the tropical landscape and secluded backyard. Schedule an appointment to see for yourself all this home has to offer. Additional Lease Restrictions Per Rules Of Madeira Beach.